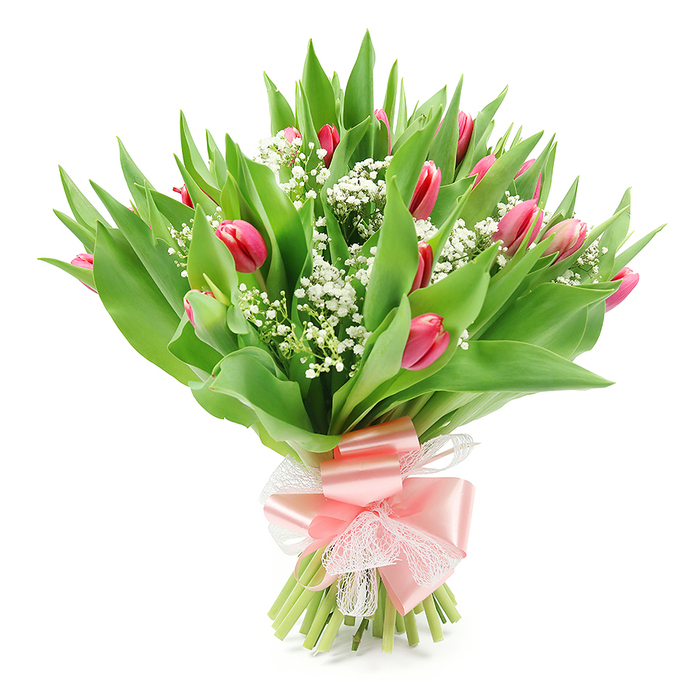 Order Fresh Tenderness Tulips Bouquet made by Handy Flowers! Bring the spring into your home with an exquisite bouquet of pink tulips. Gracefully handmade, fresh and captivating, this lovely bouquet will certainly bring a smile on your loved ones face. Cheap pretty flowers are everyone's dream come true. I sent a gorgeous bundle to my little sister from this site and she said she felt like a princess! Thank you so much. When I came across this flower delivery service, I was shocked by how cheap the flowers were! I love the florists from Handy Flowers! They clearly love their job and put a lot of passion into each bundle of flowers I order!